I wanted to look at a few different aspects of an incredible songwriter. Before I come to look at Justin Nozuka’s latest track; I will explore Alternative and Folk movements that dissipate stresses and remind one of the greats; the Canadian market and why the nation warrants more focus and promotion; albums that mean the world to artists and get big support from fans; finding the right producer that can harness your sound and bring out the best – I will end seeing where Justin Nozuka can go. I have written about Folk and Alternative sounds before and, in every case, there is something different you can take away. It is hard to categorise Nozuka’s music because it has rougher edges that remind one of the stadium artists but there are gentler movements that have that acoustic bliss. What gets into the mind regarding Nozuka’s music is the fact it can take you to another world and transport one. I have heard a lot of gentler and calmer sounds that are fine on the paper but they do not really linger in the mind for too long. It can be difficult taking the volume down and making sure you grab a person’s ears. I often look out and think about the variety and what sort of music is around. I am more and more determined to embrace the artists who perform something soothing and calm the mind. Whilst there is some real entrance and beauty in Nozuka’s music; you get real emotional depth and lyrics that make you project and conspire. I have been listening a lot to artists like Nick Drake and Joni Mitchell: two of the Folk greats who, between them, managed to change and progress music. I feel there is still too much emphasis on Pop and the bigger sounds that are commercial and sound huge on the radio. There is nothing wrong with that but I wonder whether we do not commit enough of our time and energy to artists who have something real to say. You cannot say there is a lack of wonder out there but I think we all place too much prominence on commercial sounds and Pop artists. I will stop my bashing of the genre and move on – my real point relates to music that does more to the heart and soul. Whilst there are a lot of artists who can take the mood down and get the listener dreaming and drifting; Nozuka is someone who can bring real passion to the party. I will talk more about Run to Waters and the track, No Place in Mind, but there is a lot to unravel regarding his personality and ethos. I am trying to unpick and define his music because of the beauty and evocative spirit one gets from it. I have mentioned some Folk greats but, look around the scene right now and there are some great musicians who provide sensationally scenic and passionate music. None of them, to me, have the same blend of qualities as Justin Nozuka. As he progresses and makes his next steps; you look back and see how far he has come. I listen to the earliest cuts he released and it seems, where he is now, holds real meaning and importance. I will talk about his album and why it means so much to him but you listen to the songs and so much of his self and soul go into things. Listeners want to relate to a songwriter and understand who they are but they want to find music that makes them feel better and removes anxieties. You can find a common mind and someone like us (in the music) and when you hear the sounds unfurl; you are drawn into the picture and everything else seems to fade away. That medicinal and curative quality keeps you coming back and hooked on his music. Were he to throw in loads of electric guitars and drums then the impact might not be the same. It is the fact he has this seductive and calming quality that leaves the music in the memory for a long time to come. Although Nozuka is an American-Canadian artist; he is based in Toronto and takes my mind to the nation. I have written a lot about Canadian music and, whilst I have taken a small break, I am back there and looking at what is coming from the country. I feel we often get gripped with the American and British sounds but never really look elsewhere. Australia is a great country for music and we do not really look there a lot. It is a full and varied nation but, I guess, it is not quite as popular and exposed as it should be. Maybe we should spend more time there and see how many fantastic musicians are playing there right now. The same is true of Canada and there is no real reason why we should overlook the country. Australia is a long way away and there are not as prominent Australian musicians as there are Canadian. What gets me is the fact there is this clear wonder and variety around but we do not spend enough time with it. Toronto is a fantastic area for new music but, to be fair, the whole of Canada is capable of genius. I have been looking around the nation for a few years and, every artist I encounter, I get something unique and fantastic. The Canadians do things differently and put more into their music – compared to the U.K. and U.S. I am not sure whether it is something in the air but there is something wonderful about Canadian music. Justin Nozuka is one of those artists who take from the sights and sounds around him and differs from anything out there. Look at the music coming from Run to Waters and there is that balance of the personal and universal. There is a lot to deconstruct but you find a lot to relate to and take away. It is not a surprise to see another Canadian artist emerge and create music that remains lodged in the heart. I will move onto new aspects in a minute but I wanted to stay in Canada and see what is happening there. You can say the music landscape is the same and artists are, broadly, of the same mind. That is not true and, if you look at Canada, there is an identity and national spirit that is not like anything else. Artists tend to look at the past and uncover aspects others have not thought of. They are more impassioned and keen to connect with the listener; they are more innovative and are keen to touch people and make them feel involved with what is going on. Maybe other nations have those qualities but I am always drawn to Canada and what is coming from there. I feel we should all be more aware of what is happening and the terrific music emerging. Rather than solely stick with the U.S. and U.K., we need to be more broad-minded and discover all the terrific music available out in the world. Canada is a terrific country that constantly surprises me. 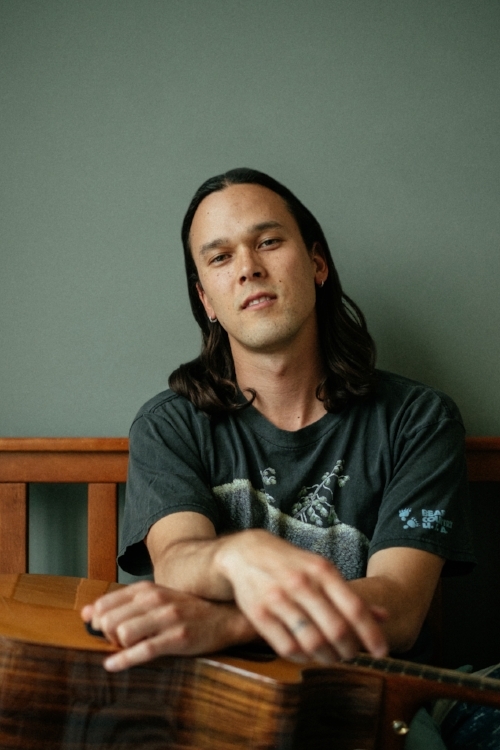 Justin Nozuka is a terrific musician who has a big future – he will consider whether he wants to remain in Canada, I guess. I think the media pays a little attention to Canada but do they get as much exposure as the U.S.?! I am not suggesting he packs his bags but his music deserves big love and a wider stage. Nozuka has worked tirelessly to get his songs to the masses and making opportunities for himself. It is wonderful watching him grow and seeing how much music means to him. I hope the latest L.P. from him draws people to Canada and gets them looking at the nation’s wide and fascinating music scene. The reprieve of stresses and anxieties (in his music) makes you fall hard and stick with him. Nozuka is among an army of Canadian-based artists who are making changes in music and showing themselves to be future-ready stars. I will look at a song from Run to Waters that stands out to me but, before then, let’s look at the album and how it came together. 2014’s Ulysees was the last album from Nozuka and, since then, he has put two E.P.s to the world: High Tide and Low Tide. We have seen music from the album appear on both E.P.s and it has bridged the gap nicely. It has been a long creative process and there have been some developments and changes in his style since then. The 2014-released record was a success and showed what Nozuka was all about. I feel Run to Waters is a bigger and more ambitious work that explores new ground and sounds stronger. Nozuka has always been incredible and ambitious but he has crafted something that integrates all his past work and current curiosities into the blend. Nozuka created the album over a period of two years (and a few months) and was apologetic to the fans for the silence. Not a lot had been heard, in terms of albums, since 2014 and many thought he was dormant. What was actually occurring was that creative swell and process – putting out ideas and making sure they were as good as they could be. Nozuka thanked his fans for their patience and explained how he had the privilege to work with producer Chris Bond. Run to Waters was recording between Canada and England and seems to take from both nations. You have the landscapes of both nations working away. Canada is a nation we associate with snow and icier conditions; mountains and a vast vista. There is that coming out in the music but you get the cities and personalities of Canada working alongside things. The English part of the album relates to the pastoral beauty and the gentle countryside; the quaintness one gets and the bubbling streams. Getting these two worlds combining in one album is an extraordinary thing to hear, indeed! I am not surprised Nozuka took that long to record the album and ensure it was as good as it could be. Chris Bond has worked closely with Nozuka and ensured all of his talent and visions are realised as effectively as possible. The songwriter has been dreaming of the record for a long time and wanted to be sure it was worth the wait and would thrill the crowds. I can see where all that focus and attention has gone. You listen to the music and know how much energy and determination has been expended. I feel artists get pressured to release quickly and ensure their name is out there in the ether. You get this expectation upon the shoulders and feel a little strange. The market is hot and busy and so it can be daunting creating something quickly that means you remain relevant and fresh. 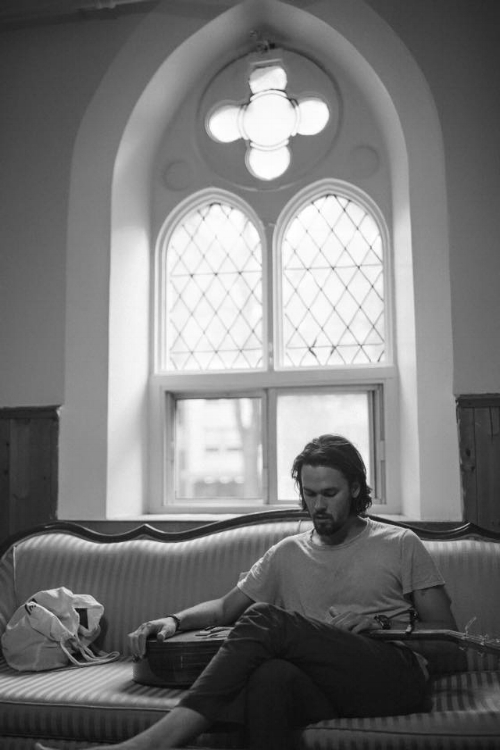 Rather than rush-release an album and follow 2014’s L.P. with something that was not satisfying; Nozuka, instead, crafted a beautiful record that made sense to him and felt natural. You can look at the album every way you want and examine Run to Waters from various different angles. One can be forensic and dissect the songs but, when it all comes down to it, the music comes from the heart and has that instant, unforgettable quality. You are, as I said, calmed and hugged by the sounds but there is so much intrigue and colour running right through. I can imagine the creative process was gradual – experimentation and false-starts – but all the wait and time has been worth it! The fact Nozuka reached out to his fans and explained why there was a gap in release shows how much they mean to him – and how much music means to him, too. Finding the right producer can be difficult these days. There are so many options and it can be a gamble working with someone you are not familiar with. Maybe there is a long history between Chris Bond and Justin Nozuka but you get the feeling their association is fairly recent and there was that instant and mutual affection. Looking at Chris Bond’s website and, actually, he worked on both of Nozuka’s between-albums E.P.s. There is, then, that familiarity and understanding of what he is about. Rather than radically change the sound of his 2014 and create something too commercial and strange; Bond has brought new angles and ideas from Nozuka and strengthened his work. He has produced for Eliza Shadadd and Tom Speight. His record is pretty impressive and he has had the experience of working with a broad range of artists and learning a lot from them. Whilst there are differences between what Eliza Shadadd and Justin Nozuka are throwing out there; the common denomination is their authority, passion and quality. Chris Bond has worked tirelessly on Nozuka’s latest album and the two have created this understanding and friendship. I hope they work together in the future because you can detect a respect for one another that means the music is neither compromised nor one-sided. Both have equal say and there is a terrific balance. The music is fresh and has polish but not enough so the soulfulness and beauty is washed away. I am not a big authority when it comes to producers – and why certain ones stand out from the pack – but I am familiar with Chris Bond’s work and what he is all about. The man has years’ experience and has been with Justin Nozuka for a little while. Many artists are self-producing and guiding themselves but I feel there is a lot to be said about researching and working with a producer that can bring in some objectivity and outside guidance. You only need listen to the first few seconds of No Place in Mind to know the record has been worth the wait. I am reminded of Folk greats and the best of the current market. I will look at the record, and standout track, soon but I wanted to look at where Nozuka can head and what he is capable of. The artist is reaching out to fans and, as the album has been out for a few weeks, he is touring and promoting heavily. Once the dust has settled and the record has done its work; you wonder where he is going from there and whether there will be other songs. I guess he will record again next year and spend the remainder of 2018 touring and reaching new people. I often see artists who have early promise and lose their spark a little way down the line. It is disappointing seeing musicians lose that edge and fade away a bit. Justin Nozuka has a strong start to life and has evolved and strengthened over the past few years. His latest album is his strongest work yet and shows he wants to remain on the scene for a long time to come. There is a lot to love about his music and there are elements that other songwriters do not bring into their work. I feel Nozuka could succeed if he remained in Canada but I wonder whether he will move to the U.K. or U.S. I am not trying to dictate but the music he is putting out there deserves a wide an audience as possible. Let us see where he goes and how the next year plays out, shall we? I am keen to watch him grow and determined to stick with his music. You get so much glory and beauty coming from the music; there is an entrancing and addictive quality that means you come back and keep listening. 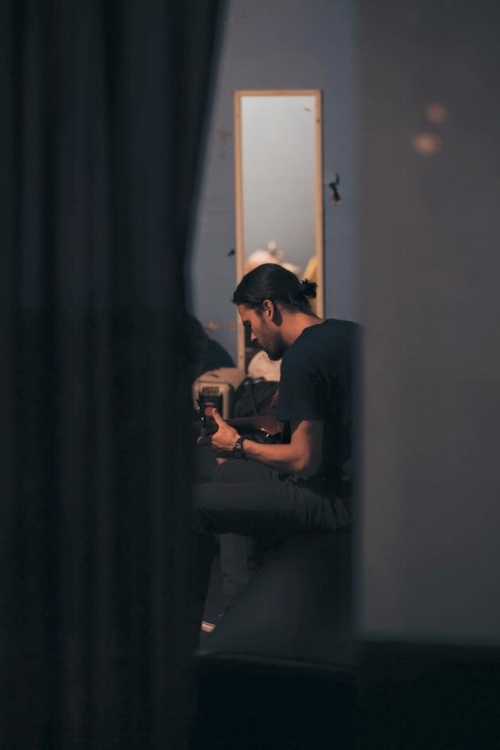 I have seen and discovered a lot of musicians but there is something about Justin Nozuka that leads me to believe he can be around for many more years to come. Let us get down to business and look at a cut from his latest album: the terrific No Place in Mind. 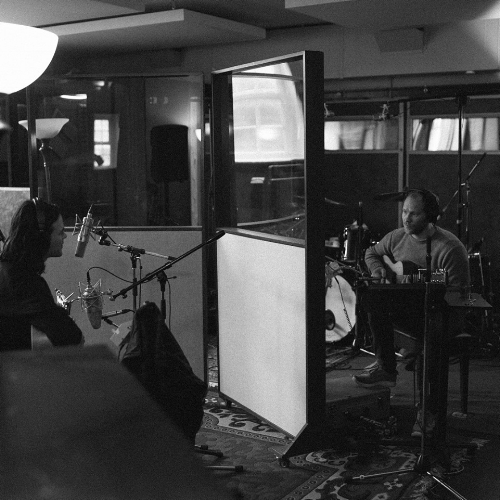 Listening to the finger-picking and bouncing strings and one is reminded of Nick Drake. I get little elements and suggestions of Pink Moon (Drake’s third and final studio album) – with a bit more lightness and breeze coming through. The notes conspire and tangle; the mind looks out into the natural world at fields and streams – you have that physical and instant sense of exploration. When the hero comes to the microphone; his voice has that combination of feather-light and grave. You have a stern sense of caution but there is a wistfulness and desire to wander the land. He is heading off with no place in mind and gets some air. Maybe there has been some hard times and stress before him: he is looking to erode that friction and discover a calmer climb. The vocals are instantly graceful and stunning; you are buckled by the softness and nuance that emanates from every breath and word. The delicate and velvet-soft voice leads the listener through the song and you feel as though you are walking alongside Nozuka. The guitar remains gentle and unobtrusive but adds a lot of direction and emotional candour. The hero has no destination in his mind but he has a pack on his back and is strolling down by the river. Maybe there is no crisis and turmoil that needs to be combatted. You never feel like Nozuka is stretched and looking for a salvation. He is determined to clear the head but, rather than escaping demons and denying the truth; the man is looking for inspiration and needs to breathe. I guess every musician feels pressure at some point and needs that space to get perspective. Rather than project woe and bring the listener down; Nozuka is inviting them in as he observes trees hanging and recalling fond memories. There are embers of Classical strings and something elegant working in the background; Nozuka’s vocals are layered when the song rises and the song grows and blossoms like a flower. What strikes me is how calm and controlled Nozuka sounds. He is painting these scenes and explaining how trees and sights along the way make him think about old summers and times past. At every stage, you are imagining and wondering where the song will head next. Nozuka’s vocal can go from touching and gentle but is capable of projecting real punch and rush. The man skips rocks in the river and jumps into the inviting waters. Drums come in and create occasional waves; there is that mirroring of the lyrics and the physicality of the song is impressive indeed. The beauty of nature and the banquet of colour keep those dark days at bay and carries the hero through the rubble. I mentioned how there is not that anxiety and need to escape in the song: maybe there are ghosts that have not left and these wandering adventures are here to banish the blues. The more the song goes on, the more you escape and submit to its beauty and teasing touch. 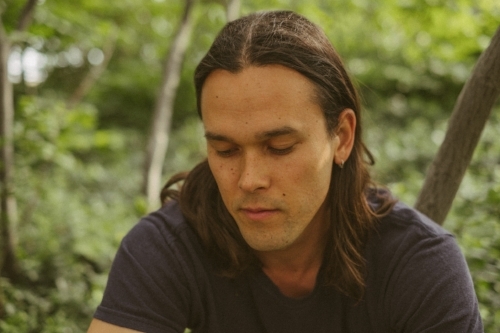 Justin Nozuka is one of these singers who can lull you in and affect your soul but carries emotional weight and has so many contours engrained. The entire experience is fascinating and enriching. Although, in my mind, No Place in Mind, is the best track from Run to Waters; it sets up the album and tells you what is to come. I have listened to the song a few times over and there are new revelations that come through every time. For me, personally, I found a lot of relevance in the song. You can approach a track like No Place in Mind as a pure form of release – nothing personal but the beauty and entice can unburden you – or take something away from it. Whatever you do with it; I suggest you listen a few times and see how various lines and notes unfurl and sprout through time. 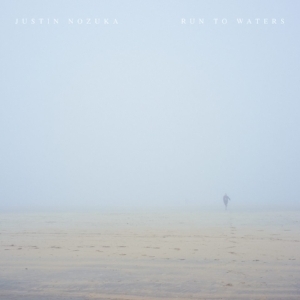 Justin Nozuka has crafted a terrific song that warms like the sun but tempts you into a cooling dip by the river. The scents, sights and sounds of nature come through and it is impossible to listen to the song and not be taken away and affected. STEP out into the world.